Last year it was Aggrophobic and this year it’s Offermation. Offermation? 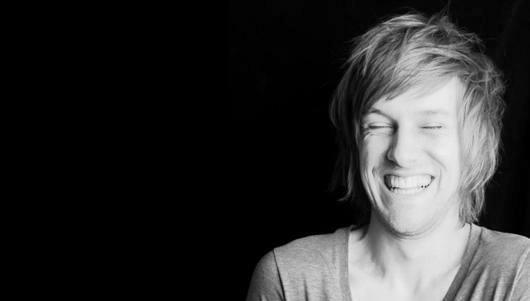 What on earth is Chris Ramsey playing at? Thankfully, he explains right at the top of his set. Offermation is unwanted information, or information given without consent. Every Christmas for the past three years he’s been receiving letters from distant relatives Bren and Mike, who detail their lives to such an extent that Ramsey becomes obsessed with these strangers. He wants more information about them; he wants offermation. The letters themselves are amusing, with their pseudo-intellectual accounts of mundane life, but it’s Ramsey’s assured delivery that really sells them to the crowd. And of course it isn’t just an hour of recital; he punctuates the letters with everyman routines on stuff like Chat Roulette, Sky’s poor customer service and middle-class etiquette in Chorlton. They don’t sound inspiring, but as I said, it’s all in the delivery and the writing. There was a point about halfway through Offermation, though, when Ramsey started to waver. The show lulled, with a supermarket routine that was shoe-horned in from his club-set and a weak feed line into his punch-heavy restaurant anecdote. Minor irks, of course, but it broke the natural feel to Ramsey’s storytelling. The crowd were with him all the way, though. They were certainly quiet in parts, but seemed to enjoy the ride; and the pay-off at the end, complete with theatricals from Ramsey, is simply magical stuff. And I think that’s where we’ll leave this review. Anything more is just offermation.